Did you know that 3 out of 4 employees prefer to use Mac over Windows systems? Did you also know that allowing users to use the system of their choice increases productivity by 72%? With these stats in mind, it’s not a surprise that Macs are replacing Microsoft® Windows® in the workplace. However, new challenges have surfaced as a result. If Macs have recently come into your environment, you are more than well aware of the poor options that exist for managing Mac users. So, you wouldn’t be surprised that this has led to a keen interest in a cloud directory with a function for Mac user management. Looking at these aspects will make it all the more clear why a hosted directory service is a fitting solution for a Mac-friendly, cloud forward IT environment. As most IT admins know, the directory service has historically been provided on-prem by Microsoft Active Directory®. Some have also leveraged OpenLDAP™ as an AD alternative, but the market share numbers will tell you that AD is the runaway success in the on-prem identity management world. This all makes a great deal of sense when you consider that most networks used to be all Windows and hosted on-prem. Microsoft took advantage of this and connected the entire network together via Active Directory. Of course, the not so subtle strategy was to lock-in customers to Microsoft and lockout competitors such as Mac and Linux systems. The on-prem, legacy AD approach to IAM (identity and access management) worked for a long time, and worked pretty well. Then, the IT landscape changed. Over the last two decades, the IT landscape has been introduced to a wide variety of new, innovative non-Microsoft technology. This includes web-based apps like Salesforce® and Evernote®, and cloud computing services like AWS® and GCP. Of course, the changes also included an increase in the use of Mac and Linux systems. Microsoft didn’t create AD to integrate with these cloud-based, non-Microsoft resources, so the legacy Active Directory approach started to break down. For a long time, IT was at a loss for how to properly manage user authentication in this new IT world. Let’s take a look at the few options they came to employ. Some of the options IT admins have turned to, for Mac user management specifically, include third-party solutions, manual management, and no management. All of these options have been a far cry from the fine-tuned control IT admins had with AD in an all Windows environment. Third party solutions were expensive and often didn’t work smoothly. To skirt the extra costs, some in IT turned to manual management. However, manual management can be extremely time consuming and doesn’t do a whole lot for easing security concerns. The third option was not managing Macs at all, and in the security breach prone world of today that is just not a viable option. The reason many IT admins want better Mac user management in their environment is because it allows them to make it easy for users to properly adhere to security guidelines. When a good system management solution is not in place, users are tempted to make choices in favor of convenience over security. This means they end up choosing really easy passwords, downloading corrupted software, and responding slowly to system updates and patches. Luckily, another option for Mac user management has emerged, and it’s a next-generation cloud directory service. Not only does this directory service offer deep system management, but it also centralizes authentication to all IT resources. 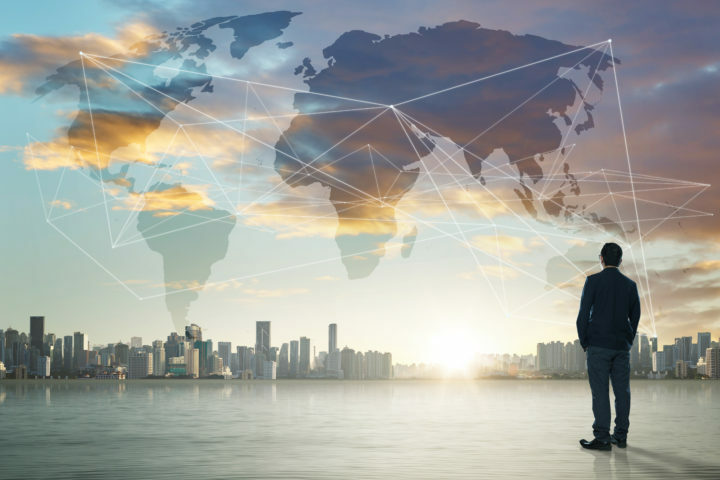 This is because the modern cloud identity management solution is cross-platform, multi-protocol, provider independent, and location agnostic. It’s called JumpCloud Directory-as-a-Service®, and it is a reimagination of Active Directory and OpenLDAP for the cloud era. JumpCloud’s approach to directory services enables IT admins to connect users to all of their modern IT resources using one set of credentials. This means users only have to use one username and password to access legacy and web-based applications, physical and virtual file storage, wired and WiFi networks, and most importantly, Mac, Linux and Windows systems. Specifically, when it comes to the cloud directory function Mac user management, this is a core part of this next-generation solution. 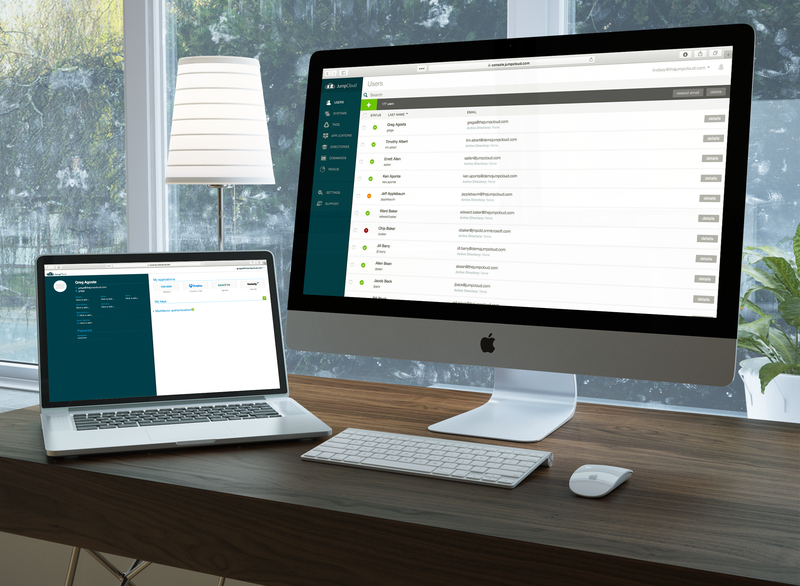 Instead of treating Macs as an afterthought, JumpCloud Directory-as-a-Service supports tight integration with Mac systems. Users can be created, modified, and deleted all from one central console. The same user account works seamlessly with FileVault and Keychain without disruption. Further, IT admins can set password complexity requirements as well as institute MFA (multi-factor authentication). 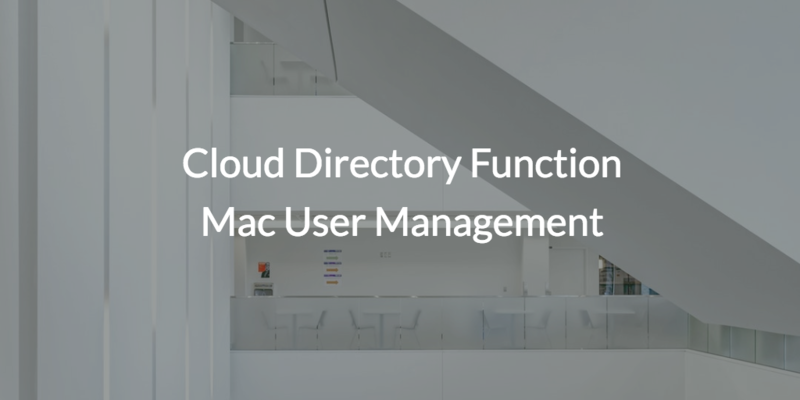 The cloud directory function Mac user management is a critical component of identity management for any modern organization, and JumpCloud provides IT admins with the tools necessary to do that securely and efficiently. For more information on our cloud directory function Mac user management, consider watching the video above. You are also more than welcome to reach out to us if you would like to learn more about system management from the cloud. Curious how it works? Sign up for a free account. You’ll be able to test all of our features, and your first ten users are free forever.